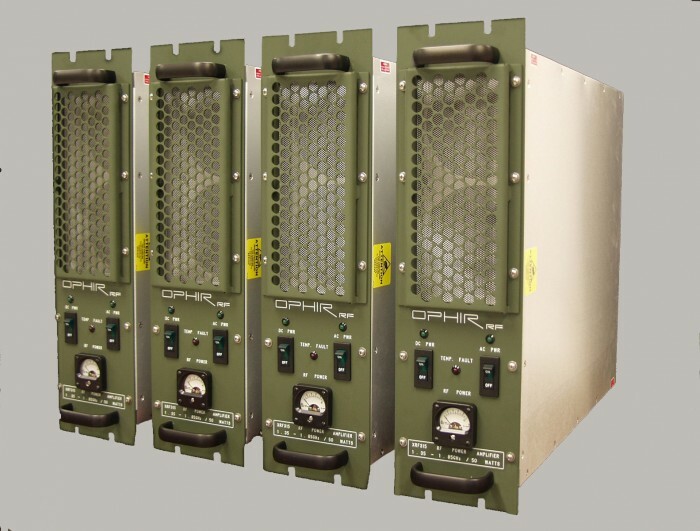 Ophir RF | Manufacturer of linear, high power, rf amplifiers, microwave amplifier, broadband and band -specific, for wireless telecommunications and defense applications, SATCOM, ISM, radar, electronic warfare, base stations, repeater systems, cellular, PCS, CDMA and TWT replacement. 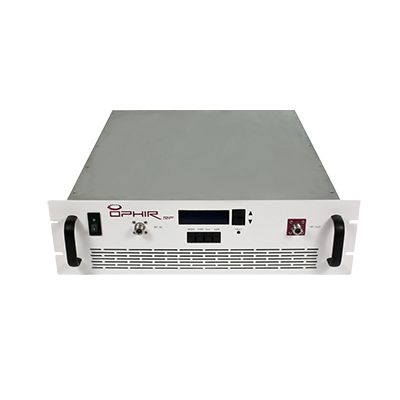 These are basic RF System building Blocks We offer a variety of options to go with the amplifier modules including DC-DC Converters, Isolators, Gain Control, Heat Sinks, Fans, and Power Supplies. Systems are complete. They plug into an outlet and are ready to go. 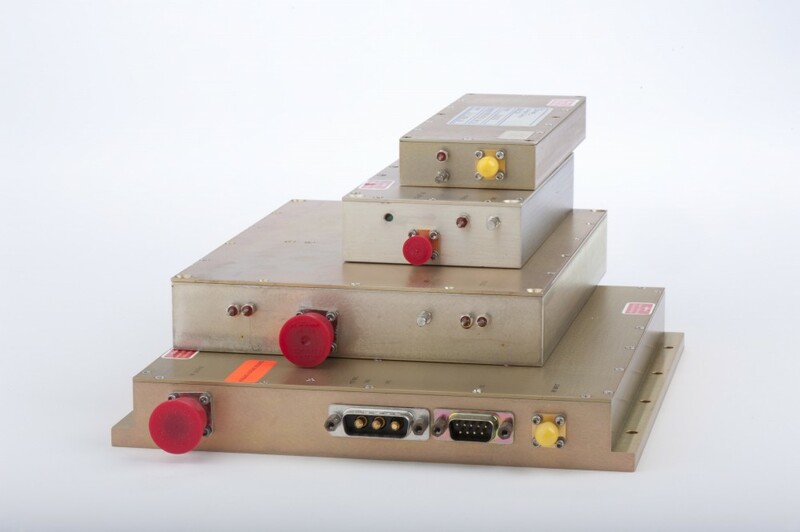 Our standard systems are typically available in four sizes - 3.5", 5.25", 7", and 8.75" chassis. 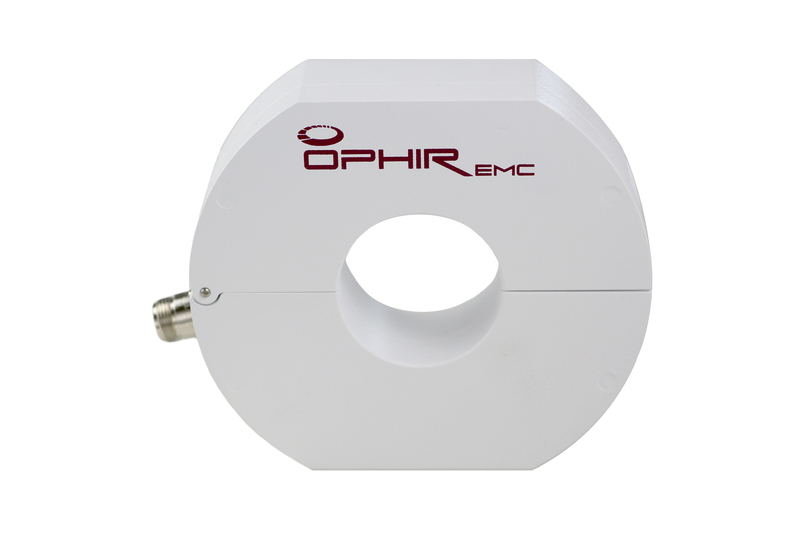 OPHIREMC’s extensive line of products include Line Impedance Stabilization Networks (LISN’s), Current Probes, Injection Probes, Transient Generators, Transformers, Loops and Coupling/Decoupling Networks (CDN’s). If our standard product line cannot meet your requirements, please complete and submit the Custom Design Solutions Form. Completing this online Design Form will help expedite our response to your amplifier needs.